Power tools are the most important part of any handyman’s arsenal. Most tools come in different shapes and sizes even though they do the same thing. So don’t get fooled by some high tech looking tool that still does the basic thing you’re looking to have done. Sometimes all those bells and whistles ad up to troubles. A lot of manufacturers make the tools look so high-tech you get excited to buy it meanwhile you could’ve bought a tool that does the exact the same thing for a quarter the price. Some basic important aspects of any tool should be its reliability first of all. Before buying a tool it’s always smart to do a little research on that particular tool, usually what I do is I put in the name of whatever I’m thinking about buying and then besides that I put the word “review”, so in other words say for example I have “drill” I want to buy, I would put in the drills “name” and besides that I would put in the word “review”… “Drill review” and this will get you some answers. ( by inserting the name of the drill Into the search query). So for example, if I want to know something about Mikita drills that I would type in the browser “Mikita drill review”. The word review attached to the end of any name will result in reviews or comments on whatever it is that you typed in. But there’s more to it than just simply owning a good tool. You have to know how to handle and use the tool. If you are simply repairing something like for example, say that you are looking to put up some shelving in your closet. And you decide you need a drill to drill some holes. You might run into a situation where the drywall has been limited right on top of concrete. Many condos have concrete behind the drywall, and if you get the regular would drill for your new drill will end up getting nowhere. You need a concrete drill/hammer drill with a concrete bit to penetrate the concrete to insert the wall plug. This is just one example of a very simple task that could be a little difficult if you don’t know exactly what it is and what you need to drill a hole into the wall.This is why it’s wise to research and do Power Tool Reviews and Comparisons this way you might not miss the type of drill you need and accessories you have to use this tool. Another way to find out the quality of the tool is by phoning and talking to power tool repair shops. They will probably have some comments on tools that have been brought in for repairs. If the tool repairman says that particular type of drill comes in often for repairs maybe that’s not the one to get. But he might suggest a good tool for you. Another source for finding out if a particular power tool is good or bad is by going to “Consumer Reports” where you’ll get the lowdown on a particular tool. 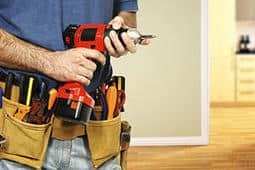 If you’re looking for good quality professional grade power tools like Mississauga contractors use your better off going to commercial tool retailers and wholesalers where there is a selection of professional grade power tools. These tools are more pricey but you’re paying for quality and longevity of use. Hope you have taken something away from our Power Tool Reviews and Comparisons.